With the temperatures dipping below freezing, what better way to warm up on a snowy day than with a rich, steaming mug of hot chocolate? 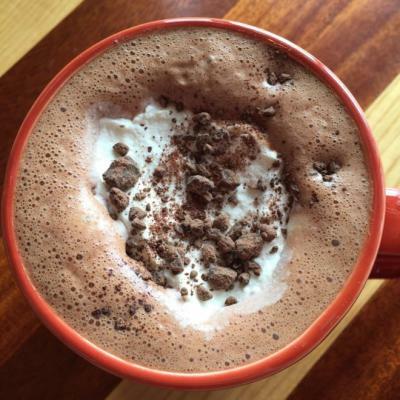 Check out these favorite spots for hot chocolate in Columbus! 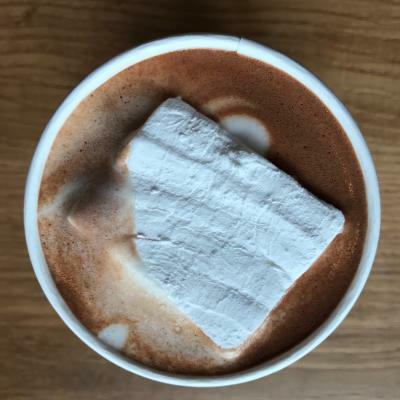 Fox just added a German Village location, which means another place to cozy up with their rich hot chocolate and gigantic house-made marshmallows! True to its name, the Chocolate Cafe features all manner of hot chocolates. You can select from regular, dark, or white chocolate, or add flavors like cherry jubilee, butterscotch, Nutella, and mint. 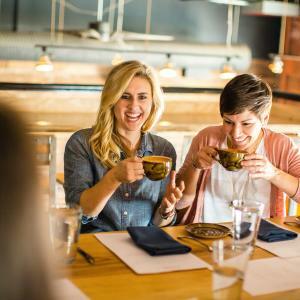 For the adults, they offer boozy hot chocolates like the Chocolate Vice with rum and bourbon, or the Chocolate Kiev with vanilla vodka and amaretto. 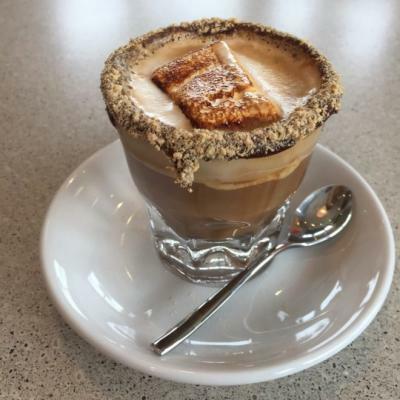 With shops downtown and in German Village, Winans can customize your hot chocolate with different flavors, and will even craft it with different types of milk, like soy, almond, and coconut. Roosevelt lets you have all the fun with their Stirred Hot Chocolate. Your picturesque drink arrives with a square of chocolate on your spoon, so you can stir it into your drink! The beloved Northstar Cafes are known, amongst other things, for their rich hot chocolate, served in colorful mugs and topped with a dollop of whipped cream and shaved pieces of chocolate. One Line crafts their hot chocolate with whole milk and a house-made mocha sauce. They’ll also make special versions using chocolate milk or non-dairy milks. Luck Bros’ in Grandview is known for their expertly prepared espresso drinks, but they also create warming hot chocolate and peppermint hot chocolate. Where’s your favorite Columbus spot to warm up with hot chocolate? Nicholas Dekker is the blogger behind BreakfastWithNick.com. He writes about breakfast, brunch, coffee, donuts, beer, and more on his site. In addition to writing for Experience Columbus, he writes for Columbus Crave, Columbus Alive, The Dispatch, and Columbus Monthly. He leads breakfast and brunch tours for Columbus Food Adventures, and the occasional brewery tour for Columbus Brew Adventures. Nick is also an advocate for the arts in Columbus. He’s a co-founder of Wild Goose Creative, and currently works with the Greater Columbus Arts Council. He and his family live in Clintonville. 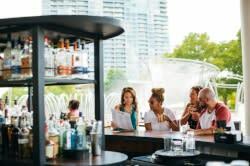 Together they love exploring Columbus restaurants, parks, markets, festivals – everything the city has to offer!